Michal is an experienced development professional with over a decade of experience working with Jewish philanthropic organizations from New York to Los Angeles. Her expertise lies in matching donor passion with an organization’s mission and funding needs. She specializes in working with high net worth individuals and charitable foundations targeting major gift fundraising and has cultivated millions of dollars in funding from individuals, foundations, and corporations. 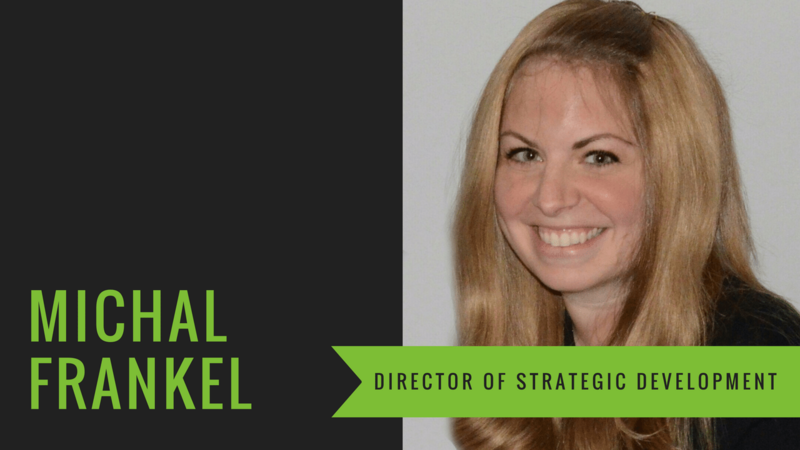 Michal’s extensive experience in donor prospecting and stewardship practices is exemplified by her strategic donor relationship management. In addition to her fundraising experience, she creates innovative marketing campaigns for organizations across a variety of platforms. Michal holds an MPA from New York University’s Wagner School of Public Service and a B.S. in Business Management from Yeshiva University’s Sy Syms School of Business. She lives in Los Angeles with her husband and three children, and is an active member in her community serving on numerous school, camp and synagogue boards and committees.